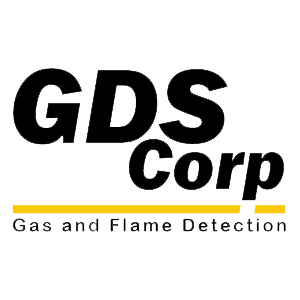 Gas detection is the mechanism that detects leakage of gases. It is a no brainer to guess the importance of this system. Industrial processes use several hazardous gases that if exposed to humans can cause widespread devastation in terms of loss of life and detriment to the environment. World over, there have been several instances wherein poisonous gas leakages have claimed hundreds of lives. 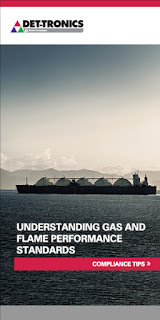 It is a compulsion to have a gas monitoring system in place for every industry. It is to be kept in mind here that putting up such a mechanism only to incorporate norms and putting up a mechanism that truly comes to the rescue in case of leakages are two different things altogether. For such system, it is crucial to put the right kind of sensors in place so that there is a time gap between warning and the time for evacuation. The warning system should be able to detect the tiniest of the leakages. Other than choosing the right kind of sensors, it is also important to install the right number of detectors, and the right combination of fixed monitors and portable monitors. Gas monitoring is a process that needs to be carefully thought out. Many a times, the areas adjacent to the gas installations are given a miss. It is important that every detail of the areas of the gas installation and in the vicinity should be taken into account. The kind of activities that are safe and not safe to carry out in the adjacent areas should also be strictly marked. If not taken seriously, it could lead to catastrophe. Another problem beleaguering gas installations is the issue of under-monitoring. One may have a gas monitoring system in place but may not cover every area that they are supposed to. 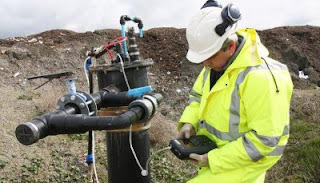 Each and every factor like the height of the installations, damage to the sensors by rain or sunlight, obstructions should be taken into account for gas installations. Also, merely putting up a gas monitoring system is of no use of the same is not serviced regularly. It goes without saying that regular service, calibration and maintenance of these systems should be carried out. Not every installation may require the same frequency of service, as this aspect depends upon the size, use and the environs. The different gas monitoring system would require a different frequency of service. It is also important that proper usage, training and surveys from the installation company be availed to get the best out of such a system. They offered a perfect gas detection system for our industrial plant. The maintenance servcie offerred by them ensures that our gas detection system is in prpoer wrking condition.